Kalemba Mwambazambi is Professor at FATEB (Faculte de Theologie Evangelique de Bangui) in the Central African Republic. He holds a PhD in Missiology from the University of South Africa in Pretoria. He is also a candidate for a Doctor of Health Sciences at Keiser University in Florida (United States of America). He does research across the globe on transformational leadership, HIV and AIDS, Christian missions, African theologies, socio-political issues, peace, justice and reconciliation. He has published academic articles in peer-reviewed journals and written several chapters in books. 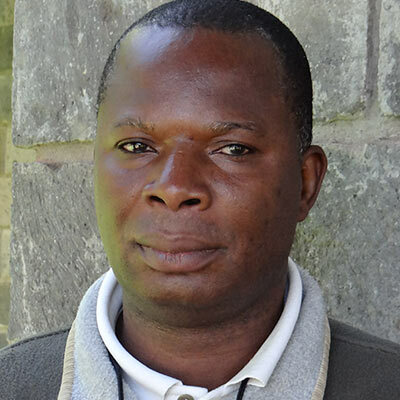 Kalemba Mwambazambi met regularly as part of the ALS leadership team, provided input on all phases of research and analysis, and supervised a team of researchers administering surveys in the Central African Republic. He conducted interviews and wrote up reports on key Christian leaders and Christian organizations in the Central African Republic.